With official regular season games on the horizon, there is one last tradition to the fantasy offseason: bold predictions. Those articles that will populate our sites, and others, with the predictions of what might happen during the upcoming campaign. And yet, it is baseball, and as the Moneyball quote says, “You still have to play the games.” Still, with a literal blizzard outside my window as I write this, bold predictions seem to be the one thing that reminds me that baseball is fast approaching. Below readers can read along with what might, and should, happen over the next calendar year. What records will be broken, career highs set, returns to form will occur, and all the rest that weaves the fabric of the baseball season. 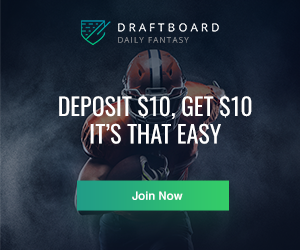 Mixing in both fantasy and real-life predictions, this article will offer that one last chance for owners to fine-tune their thoughts on the year, and one last chance to identify those key targets for draft season. Enjoy the read, and feel free to tell me what I got wrong. To do so, send your comments to @jon_denzlerRB. Top 40? Some readers might not think that is much of a “bold” prediction. Think again. 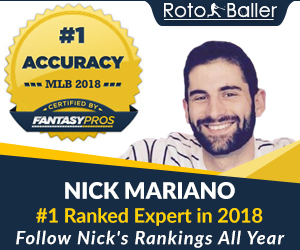 FantasyPros consensus rankings have him as the 101st overall outfielder entering the year, and last summer, the guy almost died from a virus. Add in years of underperformance, and owners have the perfect cocktail for a true breakout this year. What makes Martin unique this year? First, he looks to be the table-setter for Cleveland, at least while Francisco Lindor is out injured. This means leading off in front of a combination of Jason Kipnis, Carlos Santana, Jose Ramirez, and Jake Bauers. Even more, as the best defensive option the team has in center, Martin, if healthy, should play 140 games this year without much question. This means that if he can get on base, at his usual clip, or at least what he showed after the move last summer, then 100 runs is a distinct possibility. Add in a park that offers a power boost, and a skipper that likes to run, and there is 20/20 upside here as well. If it all comes together, Martin is set for a big season. Andrus has seen his fantasy stock drop more than most others at the position coming off an injury-plagued campaign where he only appeared in 97 games. Rewind to 2017, and Andrus was the number two in baseball at the position with 20 homers and 25 steals to complement a .297 batting average. If he is healthy entering this season, this is the type of player who can excel in Arlington. Also, add in that Manny Machado should see a bit of a drop in production due to team context, and an injury for Francisco Lindor limiting the start to his year, this is the player to watch. The other reason I like Andrus specifically, are the other bats that should break-out or improve this year. Hitting in front of options like Nomar Mazara, Willie Calhoun, and Joey Gallo mean that those bats can help fuel a return to form for Andrus. One final note, there is no player pushing Andrus for playing time, and his contract cannot be moved, so owners are safe to expect him to be wearing Ranger red all season. This might be like saying that George Harrison was the most talented member of the Beatles, but picking between these four will be both fun and tough for fantasy owners. Kluber enters the year with the best track record, and, the durability in his past to project for the most innings. Still, 2018 showed some of the holes in the armor, as Kluber posted his worst ERA of the 2018 season in September and October at 3.49. The fastball velocity was also down, with his opponent’s hard contact rate also increased over the full year. So then, do I think Kluber will be good in 2019? Yes. Do I think he will be a top-15 starter this year? No. In fact, expect this to be the year that Kluber does not get to 200 Ks and misses a bit more time due to injury. Also, assume that with his recent postseason struggles that Cleveland will limit his innings to keep him fresh. With Bauer set for a full season with the newfound pitch mix last year, and Carrasco and Clevinger being solid options on their own, this is the year that Kluber gives up his title in the clubhouse. There might not be a starter with more helium than Marquez, but this writer will not be owning many shares with his current price. A few reasons to think that the floor might fall out just a bit at Coors this year. First, German Marquez posted elite numbers in the second half of 2018, but not without some concerning underlying pieces. Primary in these concerns was a 47.4 GB% at Coors, that does not seem to be sustainable with a 15.7 HR/FB%. Second, the gains in his K rate, from 21% to 28.2%, relied on large gains in the second half. Marquez did seem to add more slider usage as the year went along, but a full season of prep from opposing teams will make the start of the year a real test for the young pitcher. Readers might be wondering why Gray gets to avoid the Coors curse that Marquez does not? Well, he does play in the same park, but the skills seem to fit a bit better. First, his floor for Ks, over three seasons with the Rockies, is 9.17 K/9. This translates to a 24.3 K% compared to Marquez’s 15.3% in his rookie year. While Marquez did improve last year, the track record plays out for Gray in this case. The other thing is that Gray saw his HR/9 jump to 1.41 last campaign after multiple seasons below one. This offers a chance for some improvement that will help the ERA at the very least. Expect regression for both pitchers, with Gray being the track record to bet on in 2019. The upside is higher for Marquez, but with Gray, owners have a pitcher who dealt with the adjustments in Coors, and had his own break-out to deal with. The record for the National League at second currently stands at 42 with the feat being accomplished by both Rogers Hornsby in 1922 and Davey Johnson in 1973. Moustakas’s career high for bombs was 38 in 2017, so within spitting distance from the record. Add in that he only played in 148 games that campaign, and there is still room for more power to add to those numbers. Also, three of the parks that he will play at in the division this year, rank in the top 13 for home run park factors. These, in order, are Great American, Miller, and Wrigley Field. He also gets to visit Coors Field, Citizens Bank Park, and Nationals Park, all in the top five in the league. Slotted to start the year at the keystone for the Brewers, this could be the year that the record is broken, with a real power bat moving to the position. And hey, the option to play a power hitter at second, and the perfect storm seems to be brewing. Coming into 2019 Hoskins might be the most underrated player in the game, after being one of the most overrated players entering 2018. 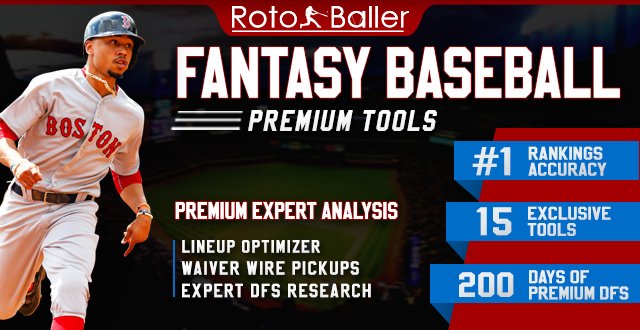 While he flashes elite power, with 52 homers through his first 203 games with the Phillies, the batting average has been the concerning aspect for fantasy owners. In 2018, he batted only .246, down from a .259 line in 2017. 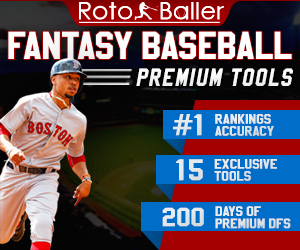 While this will hurt owners in roto leagues, the points system shows a different outcome. For example, in 2018, Matt Carpenter hit .257 and was the second-best option at the position. Carlos Santana hit only .228 and finished fifth. Going back to 2016, Edwin Encarnacion hit just .262 and finished third. What this means is that batting average does not matter, when Hoskins can offer power and walks to boost overall fantasy production. As of now, Steamer projects Hoskins to hit 36 homers, with 89 runs, 99 RBI, and a .249 batting average. With the additions of Jean Segura, Bryce Harper, and J.T. Realmuto, I am taking the over on all of those projections. Forty homers, with 180 combined runs and RBI sets the pace at first. Hoskins is going to be the player than many have expected, with the supporting cast to make this all work. First off, Lugo will not be in the rotation for any extended period this season, making this a bit of a red herring. What I mean is that Lugo will produce the value of a top-50 starting pitching throughout the year, even while stuck in the bullpen. What does allow for this projection is the gross number of innings that Lugo has offered in the past year, with two seasons of 101.1 frames thrown. Last year was the break-out with a 2.66 ERA, and a drop in his HR/9 to 0.8. The main change was that Lugo dropped his cutter in 2018, and threw his curveball more often. These additions helped fuel a jump in his K% to 25.1 from 19.7 the year before. Lugo’s value will come from the wins that he can add to the profile, with multiple-inning outings becoming the norms. With those changes, Lugo is often appearing in the 7th inning and beyond, or when the game can swing back to the Mets for wins for Lugo owners. Over the past two years, the Mets have been one of the worst teams in terms of scoring in these late innings, with only 0.46 runs per seventh innings in 2018. They did a bit better with 0.51 runs in the eighth, but still, even at their best, just measured in the middle of the table. With an improved offense, these overall runs should increase, with Lugo being the main beneficiary. For owners playing in Yahoo or Fantrax leagues this year, super prospect Nick Senzel will be eligible to play at third from day one. In ESPN he will start at second, and perhaps pick up outfield based on his plan usage. No matter the case, for any player to unseat Guerrero Jr. as the top prospect in fantasy baseball this year will be a feat. Why? Look no further than the projection system breaking numbers that Guerrero Jr. is expected to produce this year. The Bat puts him at a .297/.366/.483 slash with 20 homers and six steals, and that is one of the conservative outputs. With all of that, why will Senzel be better? First, playing time from day one will allow him to set the pace, and add those counting stats to outpace his fellow prospects. There have been questions about whether he will break camp with the team, but with new injuries to Guerrero Jr., Senzel still should debut first. Second, Great American holds a 1.128 run factor compared to 0.958 for the Rogers Center. This just means a better hitting environment to produce this year. Finally, prefer the Reds offense overall to the Blue Jays, with Yasiel Puig being a better hitter than anyone in Toronto right now. Team context matters, and it will make up for a perceived difference in skill. When healthy Strasburg might be the best pure talent pitcher in the Majors. Since his debut, the stuff has never been in question, with elite numbers across the board. The issue has been health, with only two seasons of 30 starts or more. Injury risk is the key here, but taking the gambler’s fallacy route, the chances of Strasburg getting hurt are no more than any of the other top arms in drafts this year. The different feather in Strasburg's cap, compared to other top starters, is that his best season, according to WAR, was 2017 when he only made 28 starts. During that campaign, he won 15 games, while posting a 2.52 ERA and 29.1 K%. The significant change in 2017 was the addition of more change-up and curveball to the arsenal, which carried over to 2018. While the gamble on health is real, this is the year that he has the best chance with the team around him, and potential new additions in the pen to post that top Cy Young season fans have been expecting. Sorry JB, but the Sox are not going to repeat this year, and in fact, will not even be a Wild Card team with that division. While not strictly a fantasy prediction, this is one of those moves that will show the depth of the American League. First, the Yankees are the better offensive team this year, with better options at every infield position, including catcher. In the outfield, Mookie Betts might be the best between both teams, but Aaron Hicks and Aaron Judge, offer clear offensive upgrades over Jackie Bradley Jr. and Andrew Benintendi. Even if the offense ends up in a wash, the pitching staffs in both New York and Tampa Bay offer upgrades over what Boston can muster. Chris Sale is an injury risk, with Price being the only reliable option outside of the ace in the staff. Rick Porcello could return to his 4.50 ERA line, and even the Sox do not know what they are getting from Nathan Eovaldi and Eduardo Rodriguez. Tampa Bay might be the best team in the division if players like Nathaniel Lowe and Tyler Glasnow meet the pre-season hype. This is a team that can score runs at an above-average clip, with an elite defense, and players like Austin Meadows not even guaranteed a spot on the roster. The final piece is that without a significant addition to the bullpen, I can see the Red Sox being a bottom-10 pen in baseball this year. While they flashed the upside in the playoffs, a full season offers a different animal. Just ask Cleveland. 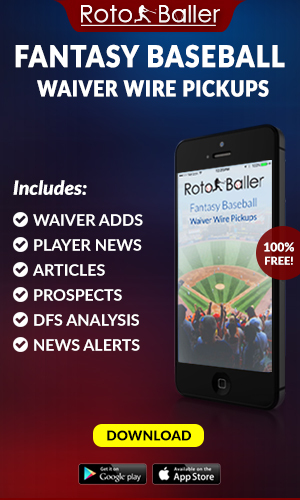 The Fantasy Injury Exam Room - Five Weeks for Aaron Judge?